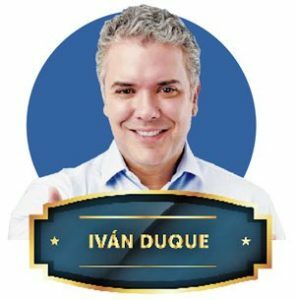 Colombian President Ivan Duque seems to be willing to renew the image of corruption associated with Uribism by using blockchain technologies to guarantee the security and transparency necessary to reduce fraud in government acts. Crypto-Startup? Less Taxes for You! At the installation of the 33rd Andicom Congress in Cartagena, the president outlined an ambitious plan to improve several key points regarding the actual status of Colombia regarding the quality of technological services. He commented that in his “obsession” with turning Colombia into a reference country in the world of technology, one of the first steps in his administration will be to deregulate the private investment sector. “We’ve been in the industry for years seeking to understand our difficulties and the opportunities for connectivity…First of all, we’re happy to see a simplification with a single regulator. On the other hand, the promotion of investment, which implies permits to use the antennas, to be able to deploy infrastructure, and to have security in our investment”. The government of Duque is firmly focused on promoting the use of technology as a governance tool to improve the quality of life of citizens and the effectiveness of government.